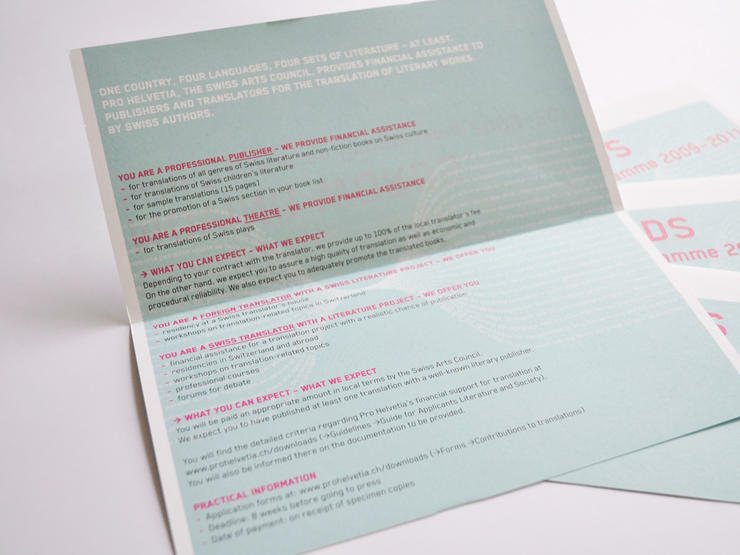 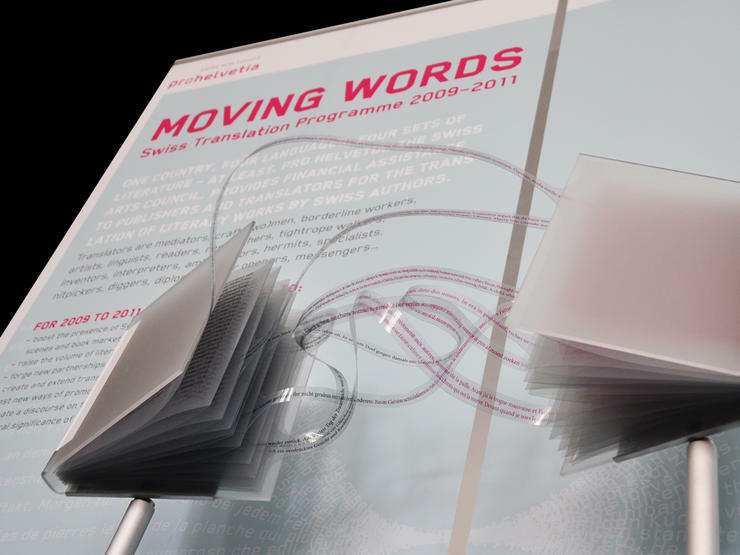 Texts are graphically transformed from one language into another. 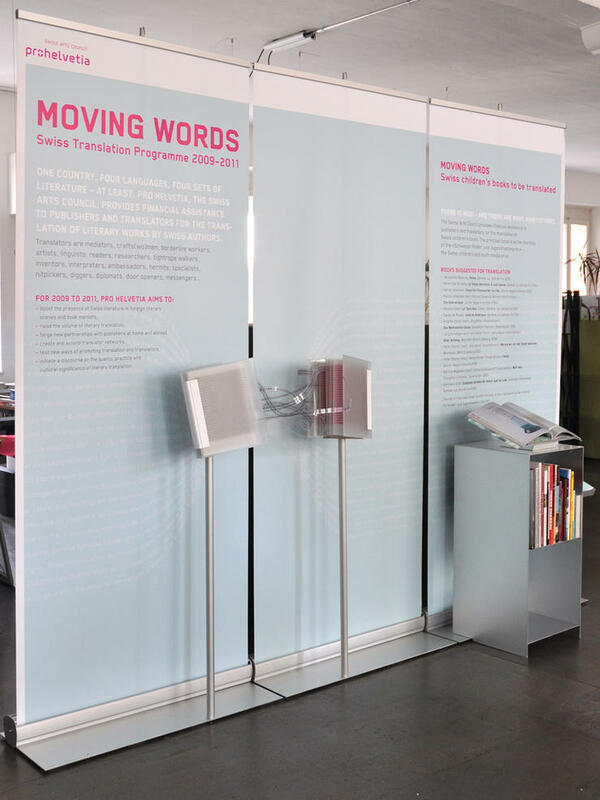 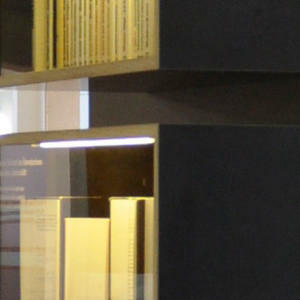 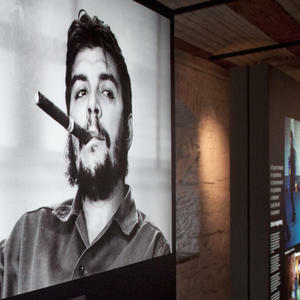 The travelling exhibition "Moving Words" promoting Pro Helvetia , focuses on translations. 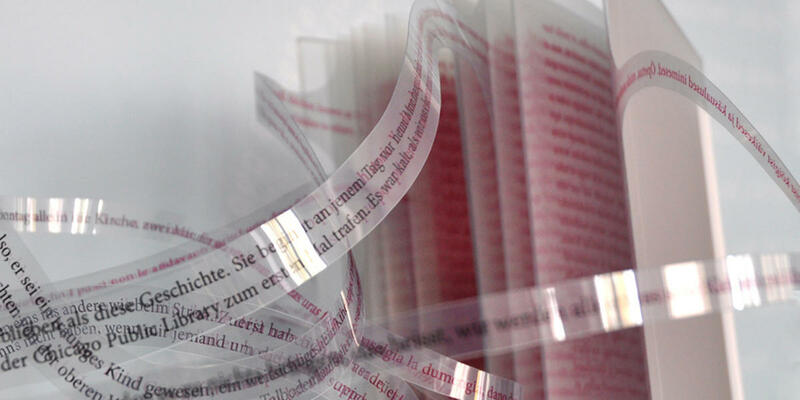 In the realised draft, texts are transformed graphically from one language into another.